Teva Pharmaceutical’s North America headquarters is in North Wales, Montgomery County. The company announced a major restructuring and layoffs on Thursday. In a sweeping restructuring announcement, Teva Pharmaceutical Industries said Thursday it will cut more than 25 percent of its workforce, by closing or selling manufacturing plants and research facilities worldwide. The announcement early Thursday did not detail where the job losses will be, but Teva said more than half of the 14,000 cuts will be completed by the end of 2018, and workers will be notified within the next 90 days. Teva, which remains profitable but not enough to cover its huge debt, will suspend dividends and not pay employee bonuses this year as it reduces costs by $3 billion within two years. "Today we are launching a comprehensive restructuring plan, crucial to restoring our financial security and stabilizing our business," Teva CEO Kare Schultz said on a conference call with analysts. "We are taking immediate and decisive actions." Schultz said to expect "double-digit plant closures" in the next two years. "Over the next 12 to 24 months we plan to consolidate our offices in the United States from the current seven locations into one main campus, final location to be determined," said Kaelan Hollon, Teva's senior director of communications in Washington. "We have already closed our office in Cambridge, Mass., and are in the process of closing our offices in Washington, D.C., Horsham, Pa, and Manhattan, N.Y. … Consultations with the relevant union representatives will begin in the near term." Hollon said she could not comment on the fate of Teva's North America headquarters in North Wales, Montgomery County. Teva employs more than 2,000 workers in Pennsylvania. The cost-cuts plan exceeded analysts' expectations and Teva's shares closed up 10.38 percent, or $1.63, to $17.30. Teva will review every product and discontinue medicines that are not profitable, while raising prices on others. The Israeli media have reported that Teva, one of Israel's largest employers, plans to fire half its Israeli workforce, eliminating 3,000 out of 6,300 jobs, including shuttering a research center in the coastal city of Netanya and selling a logistics plant in Shoham. Reuters reported that Israeli Prime Minister Benjamin Netanyahu urged Teva's chief executive to keep layoffs in Israel to a minimum. Netanyahu in a statement said he requested that Schultz "maintain the identity of Teva as an Israeli company," and Schultz promised to do so. Teva, the world's largest maker of generic drugs, employs more than 56,000 people. "The cuts will stabilize Teva in the near term," analyst Ronny Gal at Sanford C. Bernstein said in a client note. "It is obviously critical for Teva to execute these cuts, and we will judge the company in part on its ability to persevere through the local opposition." Schultz, who became CEO in early November, conducted a similar turnaround strategy at his previous company, Lundbeck A/S in Denmark. 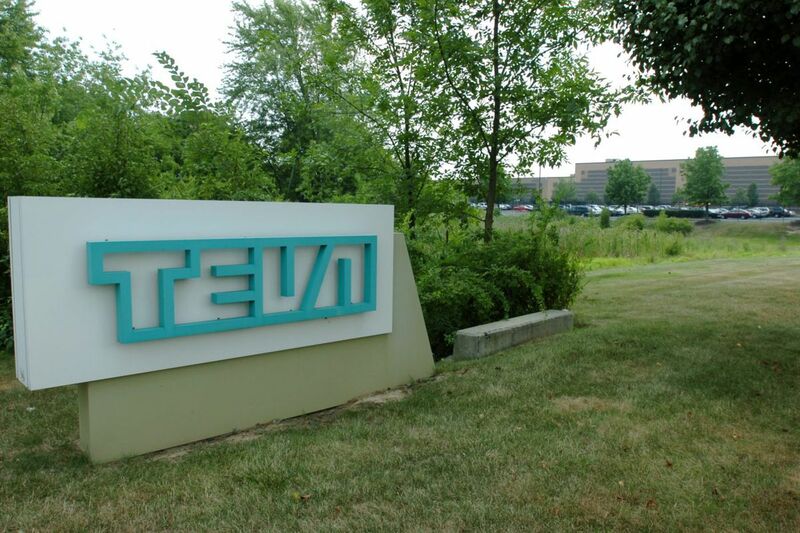 The Israeli business media, including Calcalist, the Marker, and Globes, have all reported that Teva will close most of its production operations in Israel. Published reports said that Teva will close and sell its Migada disposable medical equipment plant in Kiryat Shmona and cut 500 workers in the Petah Tikva headquarters office. All R&D operations in Netanya reportedly will be closed, and other operations sold. The Histadrut labor federation vowed to mobilize against the cuts. Avi Nissenkorn, chairman of the union, said at a Tel Aviv news conference late Wednesday, "We're going to strike across all of Teva, all its plants, on Sunday," Bloomberg reported. Teva ran up a large debt of $35 billion after buying Allergan's generic business last year for $40.5 billion. Teva faces generic competition for its best-selling multiple sclerosis drug Copaxone which accounts for 43 percent of the company's total profit. Teva and other generic-drug makers are facing declining prices for generic drugs and lower profits as well as a lag in new generic launches. This week Teva launched its generic version of Viagra, but Pfizer plans to launch a generic Viagra, too. The changes "are all in line with what Teva had to do," Bernstein's Ronny Gal said. "We have not seen Teva execute particularly well in the past few years and will want to see management execute successfully before recommending the stock." "The Israel media highlighted the human impact of the decision and noted a picture of CEO Schultz as the night-king character from Game of Thrones," Gal wrote. "Local politicians have already begun commenting on the discrepancy between the new CEO compensation and the firing of roughly half of Teva's Israeli employees." Some reports have put Schultz's potential compensation package as high as $52 million. On Tuesday, Teva said that Yitzhak Peterburg, its former board chairman and interim CEO, had resigned from the board. Credit Suisse analyst Vamil Divan noted that Peterburg's departure suggests that Schultz has the support of Teva's board. "While there are many politicians offering negative opinions of the company in response to these reports, we are not seeing any clear plan being offered to oppose or prevent layoffs," Divan said. "We note that selling plants rather than closing them would likely be more financially beneficial for Teva while also soothing the sting of layoffs." Relocating generic operations could improve operating efficiency, and some reports suggest Teva is looking to move its generic manufacturing out of Israel to lower-cost countries, Divan said. Teva owes $6 billion in bond payments due in 2018, and $11.9 billion total through 2020, he said. "Refinancing these bonds would free up near term cash for other uses, but any benefit would need to be weighed against the new, likely higher refinanced rate." Schultz reorganized top management last month and said he would combine the firm's generic and specialty drug businesses. "You can expect a simpler, leaner, and more agile organization," he said Thursday.